Covington, VA (August 30, 2018) - This will be the 65th consecutive season for the organization which will be promoting the theme “A Season of Unity” by bringing people together to experience live performance of exceptional quality. All performances this season fall on Monday nights and all will begin at a new earlier curtain time of 7:00 pm. AHAC will open this season on Monday, September 17 at the Historic Masonic Theatre with an eclectic mix of string musicians gathered by Garth Newel Music Center for an experience titled “Stringfellows”. The concert will be the finale of a project conducted in partnership between the Arts Council, Garth Newel Music Center, Clifton Forge School of the Arts and The Historic Masonic Theatre. This outstanding compilation of talent features Taylor Morris, Emilie Catlett, Melissa Brun and the duo of John Holenko and Hazel Ketchum, also known as the Hungry Monks, who will fuse various genres of American Roots music in a harmonious bouquet of high-energy sound that will blur the lines between violin and fiddle. The audience can expect everything from jazz to bluegrass, with other delightfully unexpected moments blended in. The action will move to Covington High School on Monday, November 5, 2018 when a superstar of the Virginia jazz scene makes his return to Curfman Hall after a long hiatus. Recently honored by the Virginia Commission for the Arts as one of our states most outstanding artists of the last 50 years, J. Plunky Branch and his band ‘Plunky & Oneness’ will rock the hall with a mix of Afro-jazz funk that is described as "the missing link between Pharoah Sanders and Kool & the Gang". Plunky and his band have opened shows for Patti Labelle, Ray Charles, Earth Wind & Fire, Yellow Jackets, and Frankie Beverly & Maze, LL Cool J, Chuck Brown, and more. While in the community they will visit our schools to spread their message of togetherness through diversity. 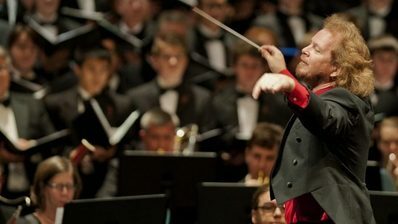 The Yuletide season celebrates the annual presentation of Roanoke Symphony Orchestra "Holiday Pops”. A holiday tradition in the Alleghany Highlands, Maestro David Wiley and the RSO will bring all the magical elements you have come to expect -- high energy, an outstanding soloist, audience sing-a-long on familiar carols, and lots of warmth to help us ignite our holiday spirit. The venue for this event is, as always, will be Curfman Hall at Covington High School. 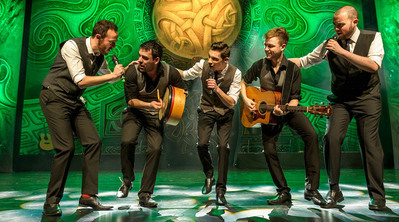 Moving back to the Historic Masonic Theatre on the day after St. Patrick’s Day, "Rhythm of the Dance," the national dance company of Ireland, will light up the stage on Monday, March 18, 2019. In the flavor of Riverdance and Lord of the Dance, "Rhythm of the Dance," is an inspiring epic, reliving the journey of the Irish Celts through history. This richly costumed show marries the contemporary with the ancient as a gifted cast of dancers, musicians, and soloists bring the modern and the traditional together for a night of unsurpassed Celtic entertainment. "Rhythm of the Dance" has won critical acclaim from around the world, and the group's performances are truly spectacular. They last visited our area in 2014. Season tickets are on sale now online at www.alleghanyarst4all.com. These tickets can also be purchased from any Arts Council board member. Those members are Mary Ann Beirne, Janice Campbell, Todd Dillon, Sandra Hardy, Cheri Kelley, Brenda Linkenhoker, Kaitlyn Miller, Calvin McClinton, Sandra Minter, Steve Minter, Nancy Moga, Linda Morrison, Caleb Morrison, John Reynolds, Lon Rollinson, Tammy Scruggs-Duncan, David Wheeler, Lang Wilson, Carl Withrow, and John Young. A season ticket good for admission to all events is $95 adult and $35 student with a family pass priced at $195. Each season ticket sold before September 17 will include a bonus gift of two complimentary guest passes good for admission at any one event in the season. This will encourage subscribers to share the gift of live performance by bringing along friends or family to enjoy the arts together. Board members are also accepting contributions to help further the mission of the organization. Along with individual and corporate donors, Arts Council funding is also provided by the Alleghany Foundation, the Virginia Commission for the Arts the National Endowment for the Arts, Foundation for Roanoke Valley, the City of Covington, and the County of Alleghany. For more information, to purchase season tickets or make a contribution, call the Arts Council at 962-ARTS or visit their website www.alleghanyarts4all.com. Information is also disseminated via their fan page on Facebook.